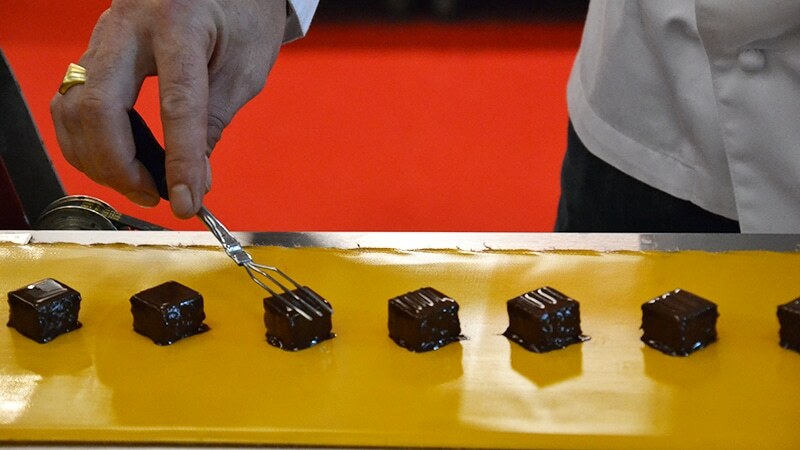 With over 80 participants at the Centre de Congrès Cité Internationale, the annual Salon du Chocolat (November 9-11) is an epic Lyon experience. Here’s our guide to the must-see parts of this delicious expo! Every year one of the highlights of the Salon is the fashion show. Chocolatiers create extravagant chocolate dresses which are shown off by models on the runway. Find the fashion on Friday at 5pm, and Saturday and Sunday at 5pm and 6pm. 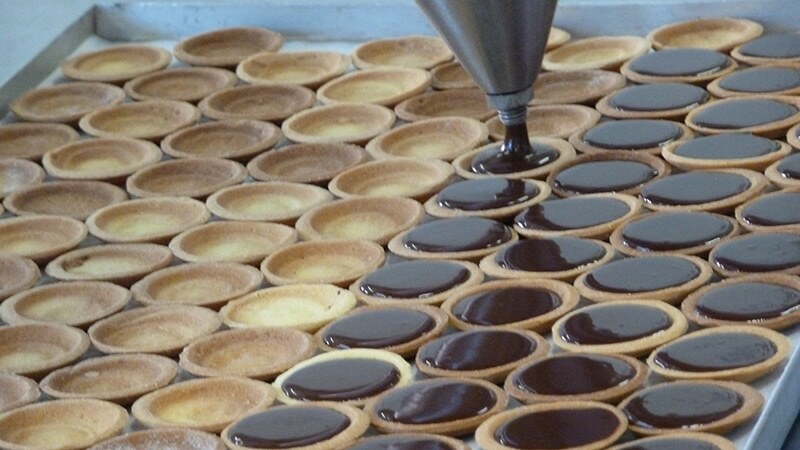 This year Callebaut, Belgian chocolate maker for professional chefs, will reconstruct a chocolate production line. This is sure to be a super interesting part of the expo, and will show you the process from bean to bar. Check out the extravagant Christmas table set with incredibly detailed Bûche Nöel, a traditional French chocolate cakeserved for Christmas and made to look like a log. Last year it was right at the entrance as you come in, make sure not to speed past it! On Sunday participating chefs will take part in a tribute to legendary Lyonnais chef Paul Bocuse. Sunday, 12-3pm. There are plenty of workshops and masterclasses throughout the weekend, but this is our pick. Watch Gildas Créach from Croix-Rousse beer shop Cave Hoppy Days and Bruno Saladino from his eponymous Chocolaterie near Foch explain about beer and chocolate tasting and pairing. Sunday at 1pm. Bellecour cookbook store In Cuisine will have an area of the exposition where you can peruse a large selection of chocolate and patisserie cookbooks. Expertly curated, this is one of our favorite parts of the Salon. There will be an area just for kidsin partnership with In Cuisine bookstore, where you can do hands on group activities with your kids. You will need to sign up for the free kids workshops, so swing by at the beginning of your visit. Judges will analyze mountains of pain au chocolat and choose a winner. We can’t wait to find out who makes the best chocolate croissants! Of course the whole reason to go is to taste chocolate! Vendors will be set up with every kind of chocolate you can imagine for you to taste and purchase. Holiday shopping, anyone? HOT TIP: Bring a water bottle.